The city of Cusco in Peru. Photo credit: Shutterstock. You are mate I told you mate you are very professional. Now let’s talk about Peru, one of many destinations that Chimu Adventures can help people in terms to take a adventure. That many people can get a travel going on, what is it that attract people to Peru so many travelers ? That is a good start, Peru is such a diverse place. You talk about a country that sits on the Pacific ocean with mountains in excess of 6000 meters above sea level, you have got the Amazon jungle. You have got an indigenous culture that has been living there for thousands of years there is plenty going for it. Yeah, what are the people like ? People in Peru are really friendly, the thing about Peru it’s a very diverse country as I said. On the coast you have got a lot of people from a Spanish kind a background, as very Spanish- European mix heritage. In the mountain you have a very traditional people who have been living like that for centuries and are descendants of the Incas from the great civilizations that graced that part of the world. And than in the jungle you got a different race of people completely different, you have got jungle tribes people who lived in isolation. There are some jungle tribes today that still line in isolation and they still have no contact with the outside world. It is a pretty incredible and diverse place. And how I mean it is a challenge I guess in the modern world of tourism to kind a find those unique experiences that we will talk a lot about. There must be people who say I want to see that , you got to be boundaries links to these places you got to respect the local community. That is something that you guys would do specifically you got some people on the ground you got local knowledge. And you can actually say to people we don’t do that but here is what we would do and it will give you a very similar experience is that right ? Absolutely it is all to get your balance you don’t need to master’s in getting 40 ,50 people on a bus and rock on a village. And looking at the poor kids that is not what we are about, it is about integrating with and find yourself maybe in a small village. With a bunch of people or finding yourself in the jungle and visiting people in their own environment and living with people for a day or two I suppose. And that is kinda what it is all about. So in those situations they will be going to Peru and the activities in Peru all of which you would help your customers with. But do you than organize a guided tour , where you got a local with and say here is a group of 5 people and we go with to experience local food at the local village. Those are the kind of experiences that you don’t get on trip adviser I guess. Yeah we can do that kind of thing, when you tour your adventure, when you tour Peru your adventure can be as adventurous as you like. In reality we can get you a private guide, for example some of the lodges we work with in the jungle. They will take you into the local villages and spend some time with the locals and talk to them. 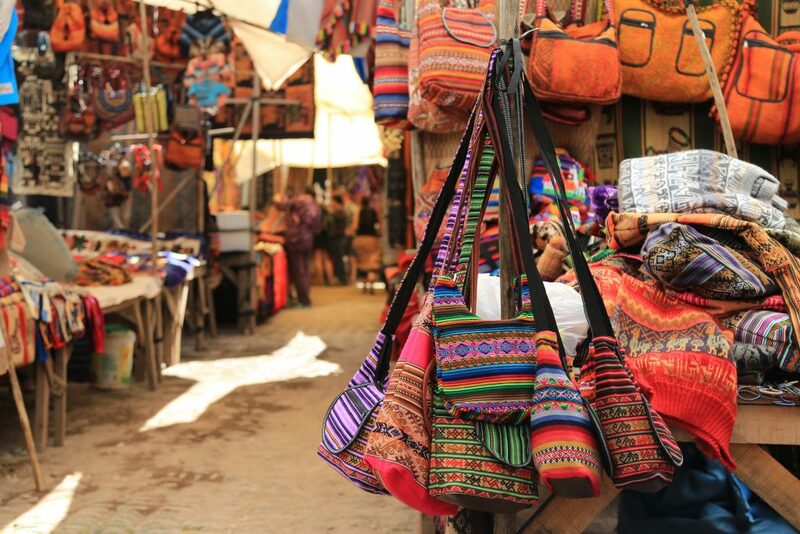 Local Market in Peru. Photo credit: Shutterstock. So the point that you say, can we go as a couple I just want us , just us. There might be 10 or more people with us but part of our adventure being Chimu Adventures that’s the point of that whole word is, that for us my wife and I, I want us to spend a afternoon or an evening with the local community in the local village whatever it might be to enjoy the local hospitality. In a very intimate way that’s the kind of thing that you guys are able to talk about. We can talk about that, we get people who say I’m really into food and is a big food eater. Peru is amazing we can get them into a local family and have lunch with the local family so there is as much or as little if you just want a traditional tour and see the sites and staying in regular hotels there is no problem we can put together whatever you want to do. So essentially with your idea is let’s talk about where you want to go first , which is Latin America or Antarctica. Let’s find where do you want to go and determine if you are looking for 5 start hotel and do you want to experience the country. And do you want to get out those are the presentations, does this happen quickly like in 5 minutes phone conversation. Before it’s get happening or do you go back and forward a bit or try to suggest ideas for people to weigh it up a bit. And how do they experience that or is it based on a one on one conversation with one of your reps ? It is a huge mixture a lot of people proves a bucket list destination it is one of these places. Where people see these places as a scrap book thing and they have seen it for years in pages and say that looks fantastic and cut it out. They come to us with two or three years later and they say I want to go to Peru and I want to do this luxury cruise in the Amazon. And I want to do this stay in theirs wonderful hotels in Peru and they come to us with these ideas a lot of people and a lot of people don’t they come to us and say hey I want to go to Peru. I have got 10 days I got 12 days this is my budget I might have 3 a star, 4 star and a 5 star and put it together. So you say your wife was from Peru ? So this a very local knowledge than what do you like about Peru, what is the theme that draws you back there ? The theme that keeps me going back to Peru is that massive, massive diversity, there is so many interesting things about Peru and every time you go there. And I have been going there now for every year for about 15 years , there is always something new there is always something happening. There is a lot to be said than 15 years and there is always something new. 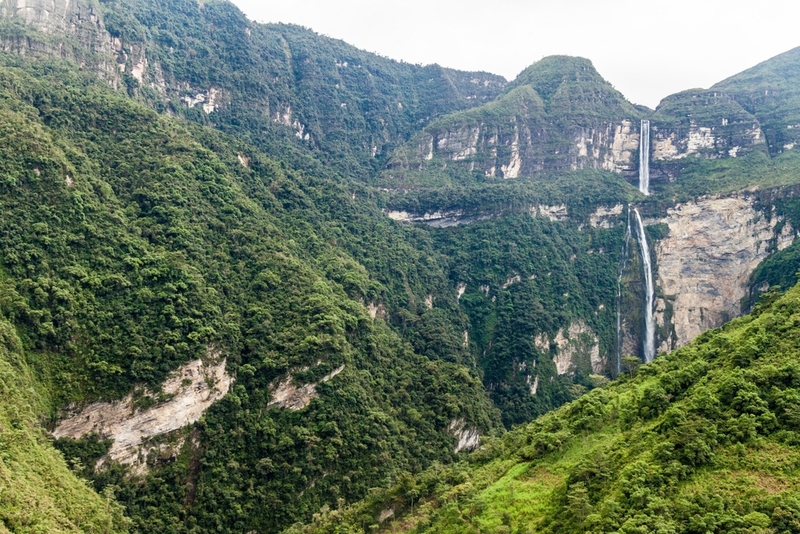 Incredible like there is a waterfall in Peru called [Gothto falls] depending what book you are reading it is the third or the fith highest waterfall in the world. Gotca falls. Photo credit: Shutterstock. Twice as deep as the grand canyon. A brag book whatever you are doing you sharing things that they are able to come and see that it is very unique. You might be showing them the falls and people are able to say , no no this is something that you haven’t seeing and you are creating something unique. Before we go to a break talk to me about Europe is a huge travel destination for Australians, if you talking to a tourist who loves going to Europe and enjoys going there. Why would they enjoy Peru, what is the ting that just need to be said to them to just consider Peru ? Peru is known as the Egypt of the Americas and that tell you a lot there is the archeological sites there is so much to do, so diverse. So many things to do there is another site [Caral] which was discovered only about 20 years ago this thing is 5000 years old this site. You see there is this kind of stuff that is a major colonial Spanish influence, if you love Spain and you love that Southern European feel there is a lot of that also in Peru as well. Amazing cosine as I said the jungle, there is so much going for it it’s just so diverse.You can do anything you like the trip can be adventurous , luxurious and it can be experantual as you like if you want to get a holiday. Yeah as you said just think of that you kind a want to spend your budget whether a 4 star, a 5 star or a 2 start whatever you want to do it. We will stick to Greg Carter here up to the news and we will talk more about Peru the accommodation the food and other things the mountains the beauty and the history of Matchu Picchu the wondrous of the Galapagos islands or the majestic ice covered world of Antarctica. Intro: On TUE adventure travel with Greg Carter thanks to Chimu adventures live for today call 1300873981. The website is chimuadventures.com Greg is in the studio here now we are talking about Peru 1313 32 by the way if you want to talk to Greg happy to take our calls. Especially about Peru the man knows his stuff over there and Chimu who have people on the ground and all over Latin America to help and of course a whole bunch of adventures . Tell us about accommodation we have talked about 3 start, 4 star and 5 star, what kind of accommodation do you end up in Peru ? Fantastic accommodation you get all kind and all star accommodations as we said. What we really love about those accommodation and what we said [inaudible] accommodation it is something that you are not going to find no where else in the world everything is unique. Some of the hotels are 15 century monastery that is being converted into a hotel. It’s got a seven room small guest house that is a 3 star level that you can go and stay. Some okes like living with a local family, so whatever your budget is there is always something for you. You don’t need to spend a big bucks necessarily to get that great accommodation which is fantastic. And if we talk food and obviously local food is very diverse, where would you how would you describe Peru’s food ? The last couple of years Peru has been voted the world’s number one gastronomic destination and it is something here in Australia that we don’t hear off. Peru food is incredible ,amazing you have got the fantastic sea food on the coast. 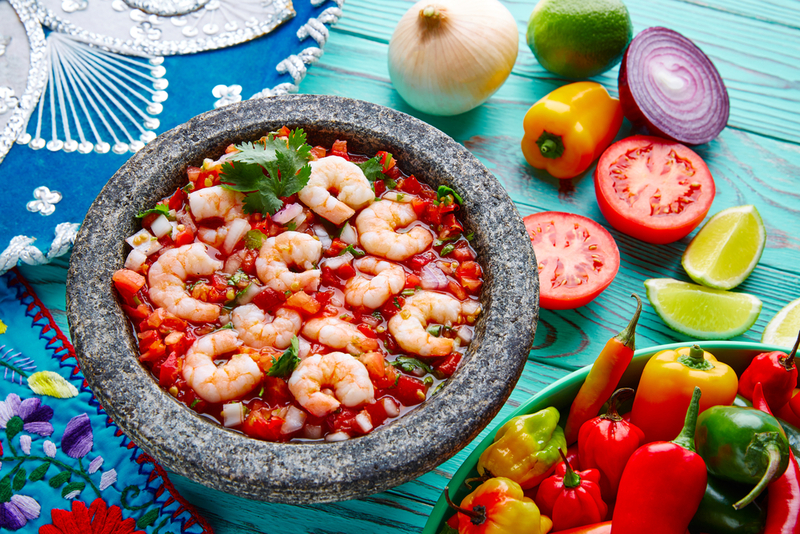 A classic dish on the coast is called Ceviche which is basically it is like raw fish they usually use sea bass. Which is than marinated in lime juice with some onion and some chilly it is really refreshing on summer days. It is kind a like sasimi I suppose with a little bit of a bite, that is a very traditional dish from the coast. In the mountains they eat a lot of potatoes in Peru there is about 300 different variety of potatoes. There you go there is plenty of ways to mash them. yeah I was going to mash them and bake them. You can do whatever you like and potatoes are a big part of Peruvian cousine there is this fantastic dish, which is based on potato. In the jungle whatever comes from the jungle is incredible fish some that is 2 meter long , they eat turtles, they eat bugs , they eat things that grow in the trees. There is so much different unique food and if you love your food there is so much that you can check out. You should get a new taste , to taste new things. If their food is so diverse and you talk about the Pacific that comes right up to the mountain , wild life must be something interesting as well. You do have amazing wild life, at the coast Peru has one of the most riches fishing grounds in the world. [inaudible]current comes from Antarctica , the West coast of South America you have amazing fishing grounds on the coast and that can lead to a lot of sea life. Than you get a lot of sea lions ,whale watching in certain times of the yearIn the mountains you get the classical [yamas or lamas] whatever you call them they are there in the mountains. In the jungle you got absolutely everything from Jaguars, to turtles to anacondas to piranhas to whatever you like. They serve them teeth up the piranha , so okay let’s say we have 2 weeks , 2 weeks is an average say 10 days on the ground whatever. What would you suggest what would a good 2 week adventure in Peru look like for you ? One thing that we haven’t really talked about is Machu Picchu everybody goes to Machu Picchu it is bucket list it is a top 7 destinations in the world. It is one of the amazing places that you have to visit, so Machu Picchu is a big part of the itinerary. Machu Picchu. Photo credit: Shutterstock. How many days , I mean is that something that you have to go back to. You are not going to Peru not without doing it. Now way it is not going to happen, so as I was saying..
You are not let someone book unless they have been 6 times before. Yeah exactly right that is the only way that you are going to get out of it. Flying to Lima doing some amazing food experiences in Lima, there is great accommodation there is amazing museums as well,a museum called the Laka museum it is something that you have to see. It has the best pre Colombian artefacts in Latin America it is well worth a look. 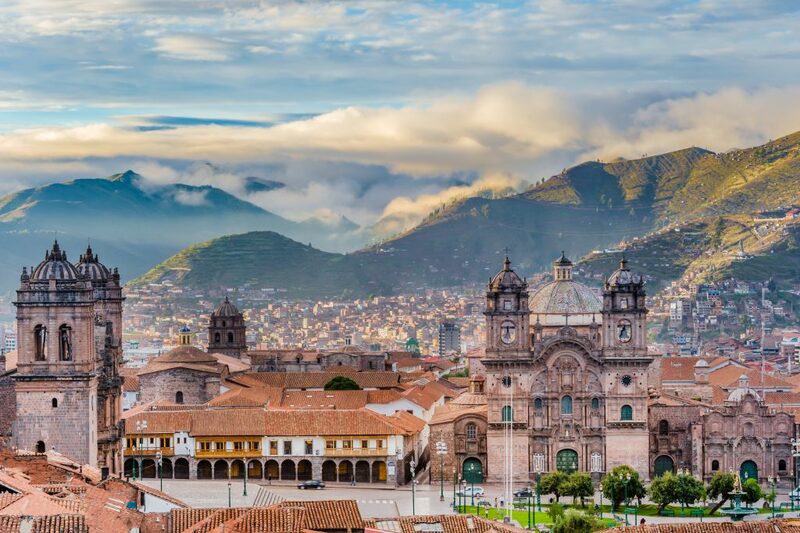 Than flying out to Cusco the Inca capital of the Inca’s amazing stone work [inaudible] city , great city great food, great bars, great night life depending what you like. You can head up to Machu Picchu from there after that you do lake city Titicaca which is on the South it is the world’s largest inhabitable lake ,on the border with Bolivia, snow cap mountains pristine lake fantastic.And than you can go to the jungle from there. I would say two weeks is a good amount of time in Peru. You can really feel , have the best of itinerary. Yeah great you can do a great itinerary and it can cost you about 2, 2 and a half thousand dollars for your grand arrangements plus your flights. Matthew: Hi How are you ? Good mate , we only got a minute but what interest you about Peru mate ? Matthew : Hi I just phone up to find out if this guy have any group where you can go on now. You used to go on tour and is there something like that for Peru ? Hi Matthew this is Greg here , we do group tour as well and individual top out itinerary tours that would be perfect for some one as your self that you share accommodation with someone as well. Where you don’t pay any nonabsorbent single supplements . And can you connect some people , where Matthew might be travel on his own with like minded similar aged people. And paired them together, do you have this conversation during the booking process. Where you have a bunch of people who are willing to share rooms and that kind of stuff ? Yeah we can do that, I suggest that Matthew call on Monday morning and I’m sure someone will be able to help you out and put something together for you. Okay Matthew I will give you the number shortly. It is a couple of thousand dollars for a large tour it is not a lot of money. If you think of the on ground component would be if you think of a beautiful holiday would be. Yeah exactly you can get around for about 5000 dollars per person and you can have your flight over there and a fantastic holiday in Peru and a couple of days in Santiago and Buenios Areos to tie it all in . Sounds amazing perfect , as Greg said the team is ready for you on 1300873981 and the website in chimuadventures.com and Greg you will be back next week and than we will be talking about Antarctica because I’m very interested in that.